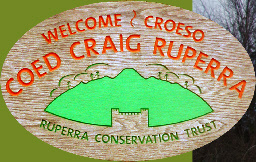 The site we now know as Coed Craig Ruperra is a lot more than just a woodland. Over the millennia, the plants and animals supported by the site will have changed again and again, from the ‘wildwood’ to an open landscape (it must have been open to have a hill fort, you need to see what’s going on! ), then to broad-leaved woodland supporting many plants and animals that are rare nowadays, and finally to the recently felled conifer woodland. In all this time, there have been numerous habitats here, and today, there are probably as many as at any time in the past. So what is a habitat? Basically it is a place where plants and animals live: different habitats support different plants and animals. A habitat can be massive, like the Amazon rainforest supporting untold millions of species, or perhaps a leaf on a shrub in a woodland, supporting a leaf miner grub. 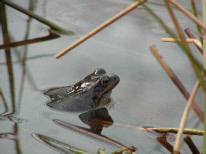 More commonly, we describe habitats as distinct areas: heathland, woodland, grassland, rivers, ponds etc. These broad habitats can also be broken down to say upland heath (moorland) or lowland heath, coniferous woodland, broad-leaved woodland and so on. The main factor of a habitat is that it can be described by the plant and animal species that live and grow there and which depend on that habitat for survival. 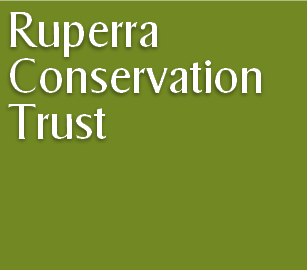 Ruperra now supports many types of habitats ranging from former commercial coniferous forestry to young broadleaved scrub, mixed deciduous woodland, grassland and heathland. Although the woodlands themselves are a vital element of the ecosystem, the variety of these habitats provide a place for a wide range of plants and animals to live and give us a fantastic amenity for watching wildlife. The majority of conifer woodland was felled in the late 1990s and we are gradually reducing the remaining amount of conifers. However, conifers are not just to be seen as bad species to be removed; in the right numbers and controlled as part of a mixed woodland they are used by many species. Scots Pine is the only native conifer in the woodland, although not occurring naturally - its range is now limited to parts of upland Scotland. It was not part of the commercial plantation but is found scattered around the boundaries as an edge marker or as self-seeded specimens. gets to the ground which now allows native plants that are fairly shade-tolerant, such as bramble, to begin colonising the forest floor. Mosses and many fungi are present in our conifer plantation, and on the edges of the tracks and rides, where sunlight gets a foothold, the species count increases substantially. Some birds, such as the tiny Goldcrest, are happy to use the conifers as a food source, feeding on the resident aphids or, in the case of Crossbills, extracting the seeds from the cones with their specially adapted bills. Old maps and documents show that there were meadows on parts of the lower slopes of Ruperra until the conifer plantings began. One of these was to the north-east, abutting the Castle Drive. We reclaimed the area from the scrubby bramble overgrowth that was invading, and in 2006 we seeded it with a wildflower meadow mix. The resulting flower display every summer not only provides visitors with a visual feast, but is also now a fantastic source of food for insects. Every year, the meadow is alive with butterflies, moths, caterpillars, bees and flies, while around the edges, Grass Snakes and Common Lizards can be found basking on log piles in the safety of the remaining scrub. Although not strictly natural, the planting reflects a typical mix of flowers and grasses which could have been present years ago. The insects are themselves a food source for the dragonflies that hawk over the meadow flowers, and for the rich bird life inhabiting the nearby bushes and trees. The meadow is mown once a year after the seed heads have dropped their contents, and we hope eventually to be able to expand the current area further across the lower slope, improving the view from the Lower Summerhouse path. There are few permanent streams on the woodland, but we know there are many temporary springs and ‘issues’ which arise after rainfall. The wetter area of the site is the slope overlooking Machen village, below the Daffodil Path on the northern slopes. Several small, unlined ponds have been dug within the conifer area as volunteer tasks, to improve the habitat for what we know to be a large population of toads as well as our frogs, newts and other residents. Many of these small ponds are ‘temporary’ – i.e. they dry out – but this actually suits some species and is quite a good alternative habitat. We also have a larger pond in the south-eastern end of the site, which was placed in an old quarried-out area; this pond does have a liner as the soil is not water-retentive to the necessary extent in that area. The pond was planned and created by volunteers with Cydcoed funding and a little help from a JCB! It was a huge success both with our human visitors and the local wildlife, and hosts thousands of new frogs and toads every year plus lots of fascinating insects and plants. 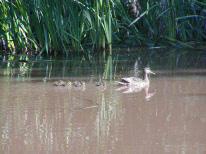 2010 even saw the first Mallard chicks (seen here with their proud mum) although visiting dogs are a problem, seeing it as an ideal swimming pool. If you walk your dog in this area, we would appreciate it if you could keep them out of the pond (you will appreciate it too if you smell them after their dip!). On the lower parts of the site, adjoining Coed y Bwdrwm to the west, wet woodland is an important habitat nationally and locally. 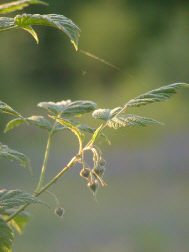 Usually dominated by ash and alder trees, it is, as it says, wet, often with scourings and streams and an interesting, but not particularly rich, ground flora. Areas of the site show a flora that has many plants characteristic of acid ground, common heather and bilberry amongst them. The acidity of large parts of the site will have been influenced by the former cover of conifers; however, the soils may also be acidic in places, particularly where leaching of surface materials has occurred in the high rainfall of the area. Although only small areas exist at present, heath was probably a dominant feature of the habitats here in the past. 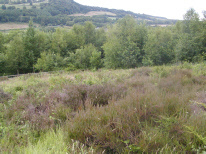 Usually consisting of an open landscape dominated by dwarf heath shrubs, maybe gorse, various grasses and scattered trees, usually birch, heaths are important for many species, including invertebrates (such as moths and butterflies, beetles, dragonflies, grasshoppers and crickets, ants, bees, wasps and spiders). 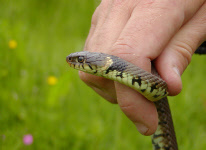 Reptiles, such as Slow Worm, Common Lizard and Grass Snake all use heathland, basking in the warmth of the low vegetation and open patches of ground at the edges and hunting their prey. On Ruperra we have a small heathland area which is the remains of former meadows on the north-western side, with views over Lower Machen which can be enjoyed from a secluded bench amongst the heather. Ruperra would have originally been part of the wildwood, but must have been cleared in or before the Iron Age, as it supported a hill fort and later a Norman Motte and Bailey. It was listed in the registers of woodland in the 1600s, which would make it what we now call an ancient woodland, that is, a woodland known to have existed before 1600, when the first comprehensive woodland records were made. replanted areas with native trees as required to provide various products such as firewood, timber, stakes, hurdles and so on. Through the ownership of the Morgans, much of the site would have been landscaped, perhaps not as in a Capability Brown sense, but more informally. Specimen trees were planted, walks made through the site and summerhouses built. Effectively, part of it became a rather large garden, but was still a rich woodland. 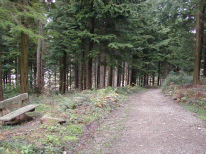 In the early years of the twentieth century, the existing woodland was cleared and the site was planted with a variety of conifers. At this stage it would be known as a Planted Ancient Woodland Site or PAWS, which means that the native trees were cleared (clear-felled) and the area was replanted with a conifer crop. When the Trust purchased Coed Craig Ruperra in 2000 after these conifers had themselves been clear-felled, its aim was to restore the native woodland which is most likely to have been a mix of Oak and Ash with an understorey dominated by Hazel. As such, it holds far more potential for biodiversity, and we are watching with fascination as the devastated and scarred landscape left by the clear-felling gradually turns back into a wonderful young native woodland.